Workers can go to here to sign up for the Spring and Summer Sale Worker's Hours to find out what hours are available. 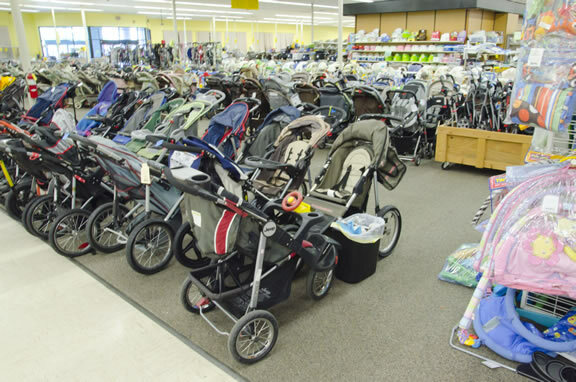 The largest consignment store in Alabama dedicated to children's and maternity items with nearly 80,000 sq ft of organized shopping space. Our Mission: To glorify God and be mindful that everything is His and we are the caretakers. Let everyone with whom we come in contact with at Kid's Market and Mom see Jesus in us and always be reminded that without Him we are nothing. Top quality, gently worn children's, junior's and maternity clothing as well as children's toys, games and furniture. Click here for our Contributor Training Videos. Contributors at Kid's Market and Mom sell for free and they get 2/3 of their selling price. All items at the end of the sale are either returned to the Contributor or donated to deserving families.In fact, let us know of any deserving need we can meet. It's easy to join our growing Kid's Market Family. Click to read more about being a Contributor.